UK Engage welcomes new Account Manager Simon Starkie to the team. 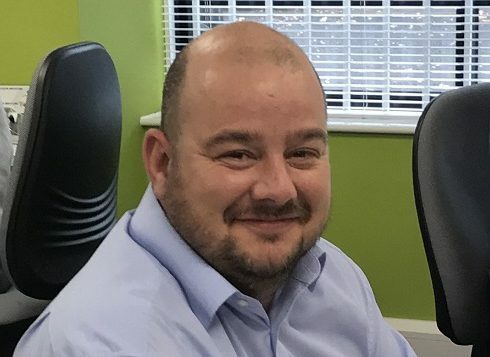 Simon has joined the growing team at the election services provider to strengthen the dedicate account management team, providing administration for organisational elections, polls and AGMs. With 20 years plus experience, Simon began work in the print world on a lithographic press, quickly becoming first minder, with an assistant under him, before being headhunted to become Production Manager for an agency who needed someone to advise them on printing processes. He simultaneously made the move into Account Management, with several national newspapers keeping him busy on promotional items like scratch cards, lottery cards, and bingo slips. With this experience Simon is well-placed to help clients, especially with printed election materials such as nomination forms, candidate statements and ballot packs. A big part of UK Engage’s election services package is e-voting. As part of his induction, Simon has been through an intense training programme to introduce him to the benefits of the company’s digital solutions, including its engagement hub and e-voting platform. Simon is already applying this knowledge and is managing elections for clients in the membership and healthcare sectors. He said of his new position “What appealed to me about the position at UK Engage was applying the skills I have gained in printing and account management, to a niche industry. The company’s ethos is centred on making the customer happy and delivering a first-class service. This demands a huge amount of expertise and knowledge and I’m looking forward to working with customers to deliver all types of democratic processes. On a personal level, Simon is a husband and father of two based in Rossendale. When not ferrying his sons around, Simon’s favourite thing in the world is golf.